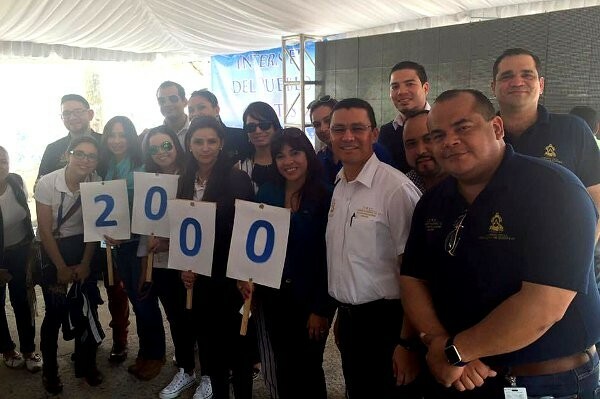 Conatel Honduras celebrated completion of the first phase of President Hernández’s “Internet del Pueblo” project, connecting 2,000 public schools to the Internet. The next phase will connect another 1,000 schools, and by the end of the 17 million dollar project, nearly two million Hondurans will have free access to the Internet. More than 700,000 students from 2,000 public schools across the country are enjoying free connectivity, which is aimed at reducing the digital divide between children educated in Honduras, and those receiving an education from schools in First World countries. The project will provide 3,000 public schools in total with Internet access, mostly in socially disadvantaged areas, empowering students with a valuable educational tool. President Hernández initiated the “Internet del Pueblo” project. Internet del Pueblo was commissioned by President Juan Orlando Hernández and is being carried out by Conatel Honduras (the National Telecommunications Commission). It also will include the connection of at least 50 central parks and 30 INFOP (Vocational Training Institute) centers across the country, providing Hondurans with free access to the Internet in order to improve their education, their business, and the public’s general knowledge. The prices charged by commercial Internet service providers in Honduras left millions without the ability to use the Internet, a service considered by the United Nations (UN) as a human right, a tool vital to improving learning skills and providing basic knowledge for modern living. Children and adults nationwide will now be able to utilize information and communication technologies with this free Internet access, improving Hondurans overall quality of life. 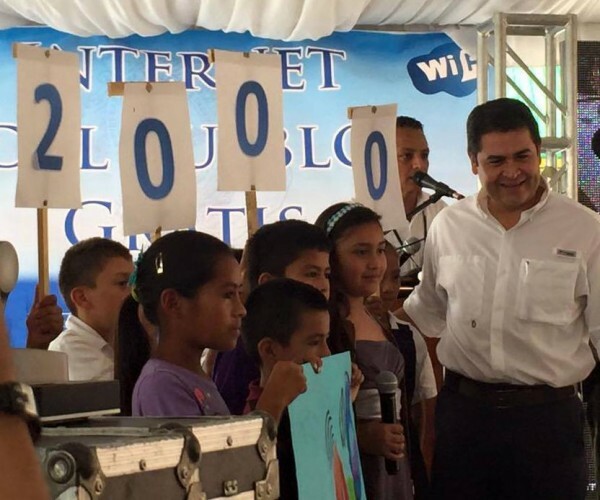 Two thousand schools in Honduras now have Internet access.